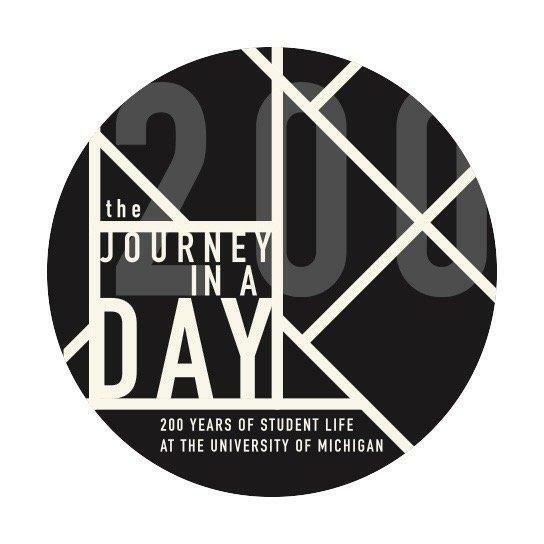 U-M students have teamed up to create this sweeping exhibition, surveying 200 years of daily rituals, social life, challenges, victories, and the roles U-M students have played in historic events. "The Journey in a Day" exhibition includes nearly 50 historic objects and dozens of photos. The exhibition includes a recreation of a Martha Cook Residence Hall room, circa 1917, amongst the first on campus to house women. A poster kiosk occupies the middle of one room in the Museum, plastered with fliers and posters from across time. A reproduction of student scrapbooks brings visitors in direct contact with individuals at various times throughout history. From the morning ritual of reading the Michigan Daily, to student reaction and involvement in U.S. wars, from the mandates and tweets of student organizations, to a survey of infamous late night Ann Arbor hot spots, this is a wide ranging exhibition with many interesting, entertaining and illuminating stories to tell. For information on-the-go about this event and all other Bicentennial happenings, download our mobile app: http://guidebook.com/g/umich200.